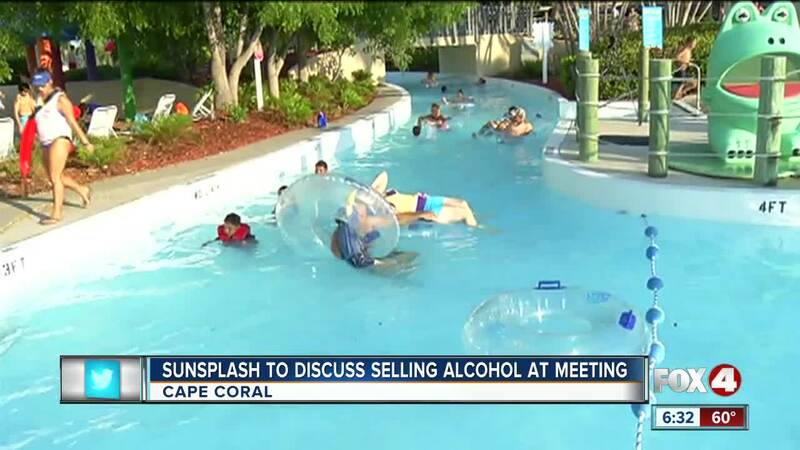 on Monday, there will be a meeting to discuss the possibility of Sunsplash water park, selling alcohol. The park is looking to sell beer and wine slushies at a two-drink maximum per person. They say their revenue from selling alcohol would help them pay for maintenance and new amenities and benefit the city. The meeting will be at 4:30 in the afternoon.